Tim Ackermann is a seasoned and passionate HR and Talent Acquisition expert with over 20 years of experience in various industries and global regions at companies such as Deutsche Bank, Microsoft, Swarovski and Zalando. 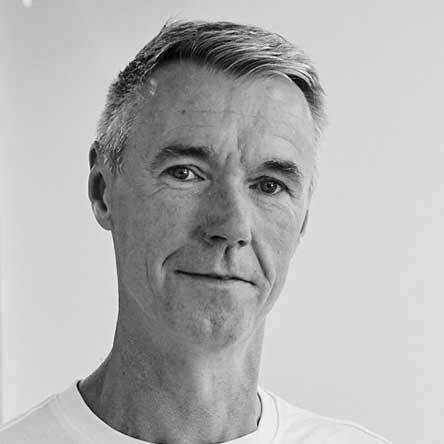 Recently Tim joined Lidl, one of the world’s largest grocery retailers, as Global Head Talent Acquisition & Experience to create a unique and frictionless experience for future and existing employees. Outside of the corporate world, Tim teached HR Management at the International School of Management, Munich. Tim is a founding member and vice chairman of Queb e.V. the (German) Association for Quality Employer Branding and actively engaged in the harmonization of the European higher education with fibaa e.V. Matt is a strategy consultant focusing on recruitment marketing, employer branding and HR Technology. Over the last 17 years he has built a reputation as a global thought leader, working with some of world’s best known employers to develop and optimize their digital strategies. Tracey Allison is Director, Global Talent at Avery Dennison Corporation. She joined Avery Dennison in July 2010. 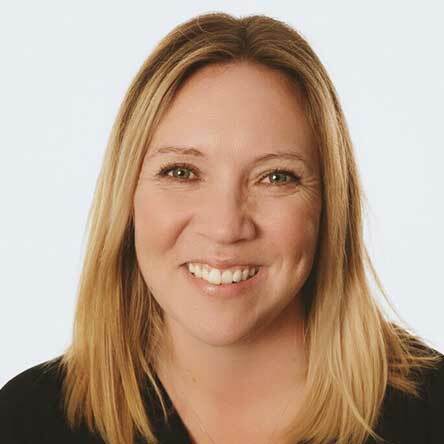 In her role Tracey is responsible for providing overall leadership of Talent Acquisition for the EMEA region as well as global responsibility for the Early Careers Leadership Program for the Label & Graphics Material Group, the largest business division of Avery Dennison. Prior to joining Avery Dennison Tracey served as the International Staffing Manager at Microsoft ensuring the acquisition of strategic critical hires for the business through cost effective and efficient quality internal and external talent. Prior to that she spent 3 years onsite at Vodafone Group Services Limited as the Talent & Resourcing Manager, part of the RPO provided by Capital Consulting. Bonnie Andrews, Head of Product at totaljobs alongside ten further job boards that comprise StepStone UK, has nearly twenty years’ experience within the online recruitment industry. In that time, Bonnie has developed technology that improves the hiring process for candidates and recruiters alike. Understanding the intricacies of user experience and maximising efficiency for recruiters is integral to the unrivalled product development Bonnie helps to drive. Baha is Founder of Solution Folder which provides training solutions to create collaborative work culture in companies. After obtaining a scholarship from Fulbright, he did his master’s in Washington DC, USA in the area of conflict resolution. He has more than 15 years of work experience residing in Germany, USA, Turkey, Cyprus and Ireland. He was also one of the first employees of Facebook in Europe where he helped Facebook scale its business. So far, he has given speeches and carried out training courses in 13 countries across 4 continents. Recently, he completed MIT Sloan Executive Education Program “Leading Organisations and Change”. He is also a REMO-endorsed artist. Combining his skills in music and his expertise in business, he designs and delivers unique learning experiences which empower business professionals to improve collaboration at work. Natalia leads product & design teams at SmartRecruiters. She holds an MBA from MIT Sloan school of management. Natalia began her professional career as a street artist in Moscow, Russia. She loves outdoor adventures, board games and picking chanterelles. She is now hiring product managers and designers in Berlin and San Francisco. René loves continuous improvement, people, media and technology, and is passionate about helping recruitment teams improve how they recruit. His is Co-Founder and CEO of OnRecruit, which offers a Data Management Platform for talent acquisition teams and recruitment companies. He also speaks at conferences and actively contributes to the online recruitment space. Last, but not least, he loves to travel, meet new people, take pictures, play poker and eat amazing food. Bill never wears a suit and always wears a hat. He has a simple vision to make recruitment better for everyone. He works towards this by advising talent technology companies on their product road map, with V.C.’s over investments in the sector, with hiring companies on technology and approach, and by hosting #tru events. #tru has hosted over 100 events during the last 12 months, in 65 countries and 5 continents. This has led to conversations with over 2,500 people who work in and around recruiting across the globe. This gives Bill a great insight into the market, and the technology needed to support it. Kasia is a freelance sourcer and sourcing trainer, eagerly sharing her knowledge through blogging at kmborowicz.com. With a degree in linguistics and a passion for culture studies, she has specialised in leading projects across EMEA in various industries, from investment banking to startups. 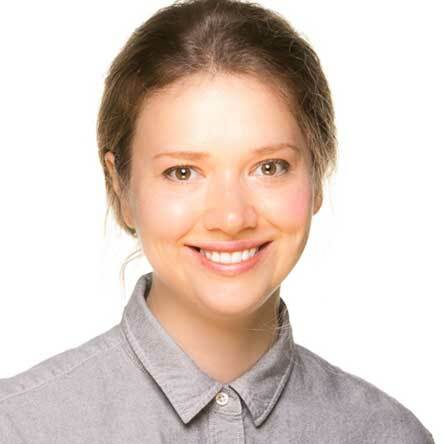 Kasia is a fan of social media and networking and believes in a social approach to sourcing. She trains recruiters to use various online platforms for sourcing, alongside more traditional recruitment tools. She also built the largest sourcing community in Poland, counting over 900 members and still growing. Dr. Beat Buhlmann is the General Manager for Evernote EMEA and possesses many years of senior management, consulting, marketing, and sales experience in the Internet & IT industry. Dr. Buhlmann has published books on personal development and virtual team management (VTM), also teaching at various leading universities around the world, including IMD Lausanne, Harvard Extension School, Hult, Universities of St. Gallen, Lucerne, and Zurich. He is also an internationally experienced keynote speaker at conferences and company events. As a veteran recruiter and HR product leader, Rebecca leads Global Success, Consulting & Strategy at SmartRecruiters. Her organizations are responsible for global customer & hiring success, research & content, pre-sales solutions consulting, proposal management, implementation, technical services & consulting, and support & marketplace services. Prior to this role, Rebecca ran the Product & Design teams at SmartRecruiters and spent two years at Jobvite leading enterprise renewals as the Director of Strategic Accounts & Senior Product Manager focusing on APIs & Reporting modules. Prior to Jobvite, Carr held both product and operational positions BranchOut, one of the world’s largest professional networks on Facebook, and at Playdom, which was acquired by Disney Interactive Media Group in 2010. Rebecca holds her degree from the University of California – Berkeley. 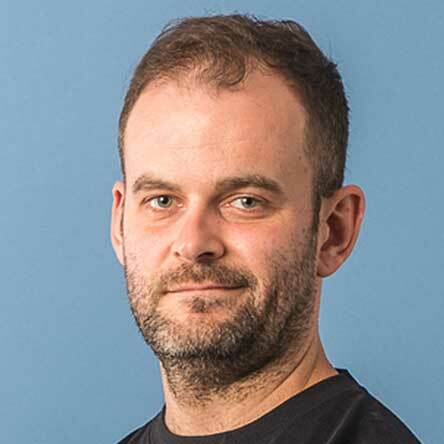 Alex Cresswell leads the pymetrics business in EMEA. Having trained as an engineer through school, Alex decided that he was more suited talking to people than building machines, and set off on a sales path that took him through the dot-com boom, bust in the telecoms industry, and then into the broader world of technology at Microsoft and LinkedIn. He is a passionate believer in potential and is dedicated to ensuring everyone has the opportunity to discover and achieve theirs. Session: All the Ways You Can Assess! 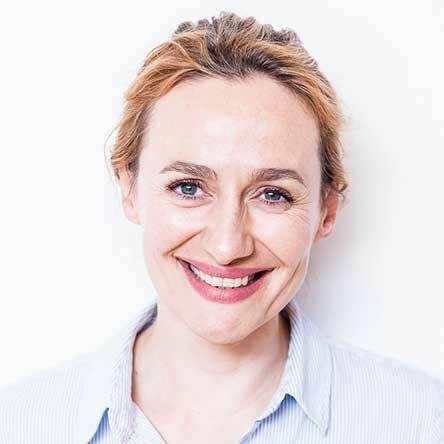 Jeri Doris joined Delivery Hero in January 2018 as Chief People Officer. Jeri is responsible for all things that impact the employee experience at Delivery Hero, from ensuring a positive environment to managing the people development programs. Before joining the team, she was Head of HR at Rakuten USA based in Silicon Valley. Jeri has extensive background managing the employee experience at both established and start-up companies, and prior to moving to Silicon Valley she held various international leadership positions at Groupon in Chicago. Jeri holds a bachelor’s degree in International Relations and a MBA specializing in HR from Purdue University. 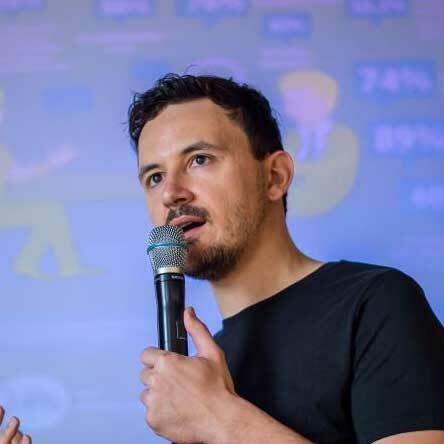 Luc Dudler is founder and CEO of jobpal – a Berlin based tech venture, which specialises in the development of chatbots for the recruiting context and industry. Before that he worked in several tech companies in Berlin and NYC between 2010 and 2015. Coincidence or not, the majority of these companies were in the field of HR tech and since long Luc is interested in technology that improves the match-making between people and employers. Michael Eger studied media management, communication design and technology, and focused on the internet industry. After his move from the creative and digital sectors to consulting, he gained more than 15 years of experience as a management consultant and project manager in strategic HR projects. He has been with Mercer | Promerit since 2005 and is currently responsible for the employer attractiveness and talent acquisition topics within the HR transformation service line. As one of the leading experts in employer branding and innovative recruiting in the DACH area, he contributes to its further development through lectures and specialized articles, paving the way for the digitization of recruitment. Aida Fazylova is Founder and CEO at XOR.ai and mathematician-programmer by education. Aida previously worked in IT recruitment and project management for over 6 years. Her areas of interest are technology, AI and recruitment. Luzia Fink has profound knowledge in a variety of HR topics, such as HR Strategy, Talent Attraction & Acquisition and Diagnostics. She studied psychology and intercultural competencies and is a certified systemic business coach. She has great communication skills and is very experienced in leading projects on a global level. She also moderates workshops by using innovative methods like Design Thinking, and Scrum is one of her USPs. Before she joined Mercer | Promerit, she worked almost 6 years as a headhunter in an HR agency and was responsible for Executive Recruiting, Management and Organizational Diagnostics, as well as Coaching. Within Mercer | Promerit her focus topics are HR Strategy & Process Transformation, Talent Attraction & Acquisition, and Diagnostics. She combines both strategic competencies and practical execution. 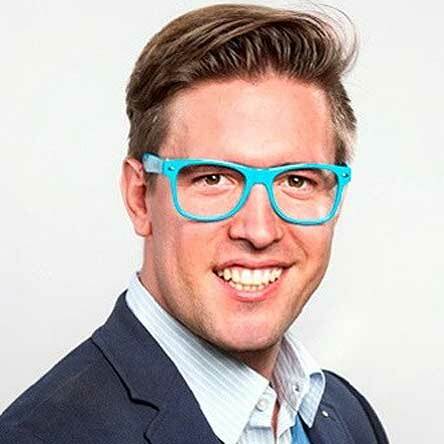 Finn Hänsel is the Managing Director of the international consumer logistics start-up Movinga, Europe’s leading online moving service focusing in France and Germany. He is a serial entrepreneur and business angel with a strong passion for product, brand and technology aiming to find the perfect balance between visionary ideas, creativity and best-in-class execution. 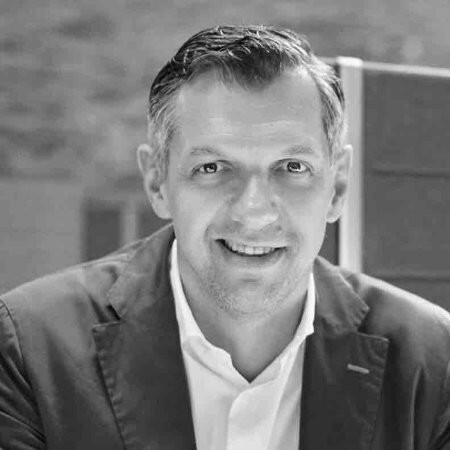 Dr. Florian Heinemann is a founding partner at Berlin-based early stage VC Project A, where he is responsible for marketing, CRM and business intelligence. Prior to his current role, he was a managing director at Rocket Internet (2007-2012). At Rocket, he was instrumental in building Zalando, Global Fashion Group and eDarling/Affinitas. 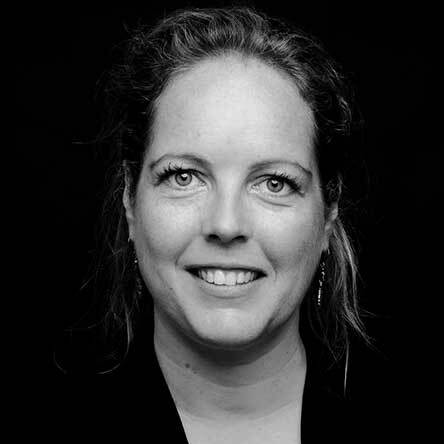 In this capacity Elke is responsible for the hiring done in the 100+ countries of the EMEA region and covering all businesses from Sales, Marketing, Services to Engineering and Corporate Functions. Prior to this role Elke was the HR Director for Microsoft Belgium and the Talent Acquisition lead for West Europe. 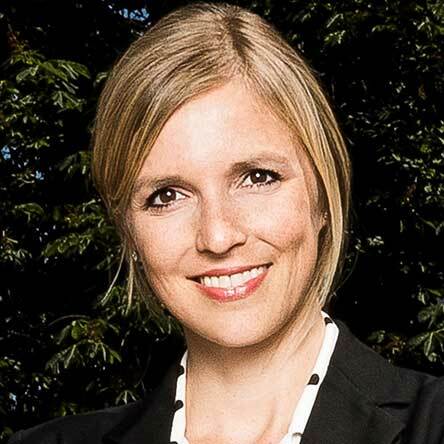 Before Microsoft, Elke had an extensive career in the consulting business of Accenture. Jenny Elisabeth Jung is the founder of MindTheLeader, a network of professionals and coaches with operational startup backgrounds. MTL supports startup leaders in growing their leadership capacity and in scaling healthy, resilient organisations. Politician (CDU), Political Advisor and Author. Served as Chief of Staff of the Vice-President of the German Bundestag Peter Hintze. Worked for the Chairman of the CDU Dr. Peter Tauber. Youth Advisory Board of the Konrad-Adenauer-Foundation. Founder and CEO of Globalo Publishing News GmbH. Hilary started her career in business development and consulting finding that business success lies in positive human interactions. She has since been an HR Leader for over 10 years working with startups and corporates in Europe, Asia and the Middle East. Hilary is currently Founder & CEO of Quahog, an HR consultancy and is building a new tech business as Founder & CEO – Career Ari – the first automated career brand coach. She is the co-founder of The Secret HR Society (and she’s also a bit obsessed with the future of work, neuroscience in HR, German Bier and American sports). Adam Kostyál is Senior Vice President of Listing Services, Europe. In addition to Nasdaq Nordic Exchanges, where there are more than 800 companies listed, Adam is also responsible for the more than 120 European companies that are either primarily listed or dual listed on the Nasdaq Stock Market in the U.S. Prior to Nasdaq, Adam held various positions with Enron, Cell Network and Bloomberg. He holds a BSc in Economics and Marketing from Vrije Universiteit de Bruxelles and speaks four languages including English, Swedish, Italian and French. 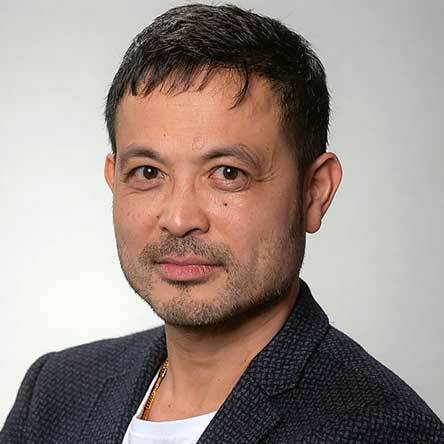 Hung Lee is the founder of WorkShape.io – the revolutionary recruiting platform for Software engineers and Editor of leading industry newsletter Recruiting Brainfood. online recruiting platform WorkShape.io, Hung has been at the forefront in developing and promoting new ways in which companies can connect to talent. Hung also curates ‘Recruiting Brainfood’ – the best weekly newsletter in recruitment. Angel Investor & digital advisor to corporate and PE. Former COO of Kloeckners digital activities. Former General counsel of rocket internet Se. Mba WHU Kellogg, PhD, lawyer. Joanne is the First Openly Transgender Past National President of the 90-year-old “Men’s Club”, The Round Table. Taking the decision in 2016 to embark on her personal re-brand, she sold her IT Services business and transitions at the beginning of 2017. 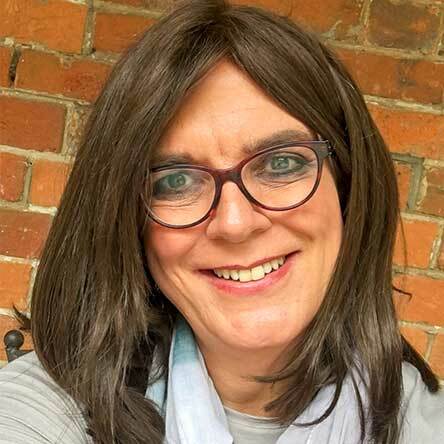 As part of her rebirth she founded SEE Change Happen in Portsmouth, a Diversity and Inclusion Practice specialising in supporting Transgender inclusion to businesses and other organisations. She is also a keynote speaker and talks about her journey in a very open, passionate but lighthearted way. Antonio heads the recruitment function at Tipico, Germany’s largest sports betting company. He is an innovative and data driven Talent Acquisition leader with a background of managing international recruitment teams across industries like Finance, Space, Engineering, Gaming and Digital. Piret is a Group Head of Talent Acquisition at 4finance group, one of the leading consumer lending businesses in the world, building the Talent acquisition function. She is also the founder of the Estonian event series Recruitment Thursday. Recruitment is not just a job. It is a lifestyle and a passion for her. Piret is driven by a desire to make the hiring process better for everyone, especially candidates! Dr. Adiba Maignan is Co-Founder of Digital Career Institute (DCI), Head of HR at sofatutor.com and Co-Founder of the Purple Squirrel Society (PSS). In sofatutor.com, Adiba is responsible for all aspects of Talent Teams since 2008. PSS is a network for HR innovators in order to foster exchange between HR people from the German Start Up Scene. And DCI educates talents from all over the world for jobs in the digital sector since 2016. The school offers courses designed for newcomers to learn web development, online marketing etc. Currently, DCI has more than 200 students in three different locations in Germany and is constantly growing. Nikolay is CTO and founder at XORBOT by Xor Inc. Skilled in Crowdsourcing, Entrepreneurship, ASP.NET MVC, Microsoft Azure, and Mobile Applications, Nikolay graduated from the IEF leadership training program. He is an experienced Chief Executive Officer with a demonstrated history of working in the computer software industry. With over a decade working with Talent, Ronan worked on a recruitment agency desk prior to becoming a commercial manager, building out multiple sales teams in a leading employment platform. Ronan heads the People Operations team for Web Summit, a global technology conference company. He is also the custodian of the business’ culture with responsibility for Talent Acquisition, Internal Communications and Staff Welfare. James has 18 years of management experience at CERN, having worked 15 years in the fields of IT & engineering followed by 10 years in HR. He is recognised as an HR professional and senior manager with a proven track record in process optimisation and service delivery. He has written and presented policy documents for CERN’s management & governing bodies as well as representing CERN in presenting to external audiences, CERN VIP and governmental visits. In the HR field – James has given several keynote talks, is a member of the advisory board for the HR Grapevine Magazine and contributing author for two Masters-level HR books. As candidate experience and innovation lead for one of the fastest growing ecommerce sites in Europe, Chris has helped Zalando through a hypergrowth of hiring in the past 3 years. His whirlwind tenure at Zalando has forced him to get creative, moving faster than the fashion cycle to get the right talent on board at the right time. This recruiter comes on board for the Innovation track to talk Course Correction in the Battlefield. Dan Robertson is a Specialist Diversity and Organisational Development consultant with substantial experience across the public and private sector. He has a proven track record of leading organisational strategy and managing operational projects, specialising in employee and customer engagement, diversity awareness, leadership and culture, management and change. Maurizio, together with his partner Riccardo, co-founded H-FARM to pioneer the startup industry over Italy and Europe. He holds the role of Co-CEO of the listed holding company and focuses on international relations. Marc Sasserath is a brand strategist, entrepreneur, clinical organizational psychologist, and gas station connoisseur. He is a founding partner and the CEO of Sasserath Munzinger Plus in Berlin and recently co-founded Sasserath Kienbaum Plus, a consulting firm for the culture of innovation, in London. He is also the executive chairman of UDG United Digital Group, an affiliate professor for entrepreneurship und innovation at ESCP Europe Paris/Berlin, and the co-founder of its U-SCHOOL, an entrepreneurial leadership program. He earned his MSc/DipCCC in clinical organizational psychology at INSEAD and HEC Paris. Matthias is currently working as a Cluster Lead in Product/Product Design Recruiting at Zalando. In the last 5 years, he spent all his energy on Tech Recruiting to use agile methodologies in Talent Acquisition. On top, he facilitates the TA Labs in Berlin which is a platform for knowledge exchange across organizational boundaries. Artur is a software engineer at VirtusLab, with a penchant for the new-and-shiny. His goal is to take the hot off the press technology and productize it in a way consumers will love. Since watching the Minority Report he’s been a fan of experimental user interface devices. Basically he’s trying to convince people that talking to machines is cool – and it seems to be working! Manjuri leads the technology talent acquisition team for Europe’s Leading ecommerce platform Zalando SE. She possesses international experience in Tech business Partnering and Talent Acquisition for mid to large organizations such as Accenture, and has worked and lived in India, Czech republic and Germany. Juliane Stiller is an information specialist and postdoctoral researcher working at Humboldt-Universität zu Berlin. Her main research topics are the usage of information systems, their search applications, data quality and digital skills. Prior to her career in academia, Juliane was working for Google as a Search Quality Analyst. Juliane is passionate about supporting people in using technology and systems to search, find, assess and critically apply information in all areas of life. She advocates digital literacy education as a means of empowerment and is actively involved in supporting refugees in their job-seeking and application process. Session: Have You Hired a Refugee? One of the original tech-heads, Ivan earned his stripes at Microsoft managing localization projects in the ’90s. 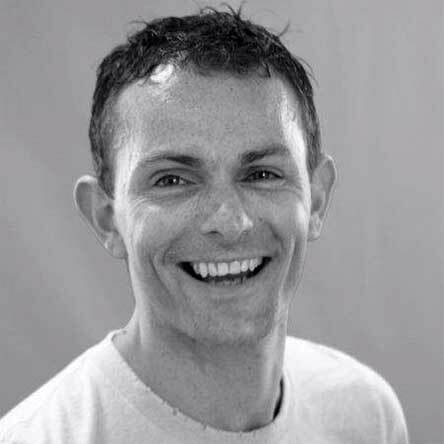 This born recruiter went on to lead several successful startups in the online-recruitment space while becoming known for his quippy social-media presence as the “Irish Recruiter”. Whether it’s blogging on the latest HR trend, or trying out the newest tech, Ivan’s entrepreneurial spirit drives him to optimize the talent search for recruiters the world over. Jerome is an entrepreneur with his heart in recruiting and soul in technology. Jerome envisions a world where recruitment is transparent, and hiring is so easy that his grandma can do it. He’s passionate for what he does, hates the status quo, and loves innovation especially when it reaches disruption. Jerome’s goal is to bring the economy to its full potential by removing friction in the labor market and eradicating unemployment. Violeta is an information scientist at Humboldt-University. With a doctorate in information science and a passion for literary studies, she is an expert in information indexing, knowledge organization, information literacy, and digital skills. She has a strong interest in information economy and believes in the development of digital applications and platforms that positively shape social processes. Violeta has been coaching refugees for several years to integrate them into the German labor market. Noor is the Chief People Officer at N26 and is responsible for scaling the organization while maintaining a high employee experience and guiding the organization through hyper-growth in a healthy way. Noor has over 15 years of experience in international Human Resources, specifically building, scaling and transforming organizations. 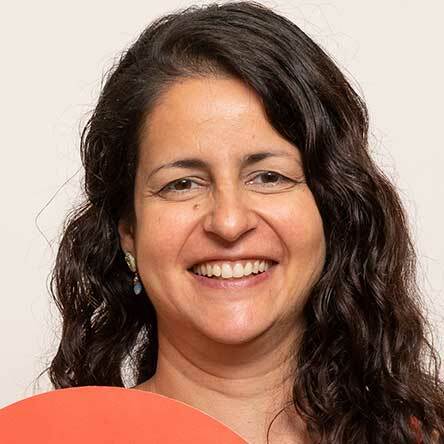 Before joining N26, Noor was the VP People at SoundCloud and before SoundCloud, she led the Recruiting, Talent, and Organizational Development initiatives at TomTom worldwide. Noor is a Dutch native with a passion for travel. Work has given her the opportunity to live in New York, India and now Berlin. David Wilson is founder and CEO of Fosway Group, Europe’s #1 HR industry analyst. A major commentator on the HR, talent and learning industry for over 20 years, David is the author of over 150 analyst research papers and articles, as well as being a leading speaker at major conferences and events around the world. David is also a strategic advisor to many major organisations in the UK and Europe, and with his extensive market knowledge and corporate insights, David continues to influence the thinking of many of the leading companies and vendors operating in the market today. Having tracked the evolving talent acquisition (TA) market for over 10 years, Fosway Group is currently in the later stages of its research on how the European TA market is transforming, including corporate drivers for change and the latest vendor innovations. Next year, Fosway plans to launch its Fosway 9-Grid™ for Talent Acquisition, a new market assessment tool designed specifically for European companies. This will complement Fosway’s existing 9-Grids™ for Cloud HCM, talent management, learning systems and digital learning. Each Fosway 9-Grid™ is a unique assessment of the leading vendor options in Europe, including vendor performance, potential, trajectory and total cost of ownership. 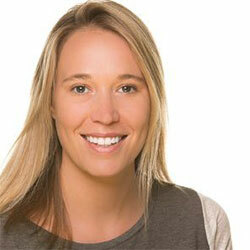 Sarah Wilson is the Head of People for SmartRecruiters. After starting her career in contingency search, Sarah has spent the past 15 years in the Talent Acquisition and HR space, consulting for top tier brands on their recruiting and performance management strategies. She has worked with professional services, telecommunications, lending, retail, and tech. Sarah is passionate about creating business-first people strategies that translate into real results. Shelley Winner was sentenced to 4 years in federal prison for selling drugs. She was released from prison in July 2016 and more recently from the halfway house. Since her release, Shelley secured a job with a multinational tech company and has been working diligently on advancing her career. Within two months, she was nominated MVP, after six months, she earned a big promotion and, one month after that, her performance gained her a special trip to HQ. Shelley has been concentrating on changing her life—pursuing a Computer Science degree and maintaining a 4.0 GPA while also giving back to the community through volunteering. She loves to share her personal story, aiming to inspire and bring hope to others currently or formerly incarcerated, or struggling with addiction. 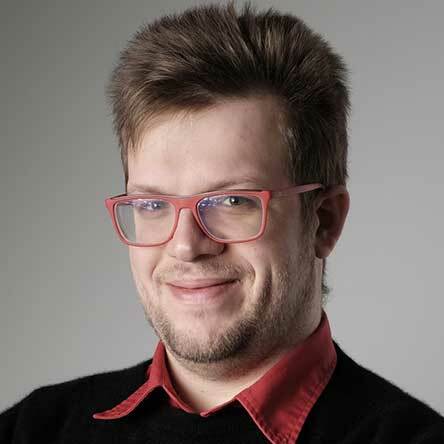 Sergej Zimpel is a Senior Recruiter for ProSiebenSat.1 Media SE and Co-Founder of the HR organization “Purple Squirrel Society”. He specializes in recruiting for the German Startup environment and is an evangelist of a modern and proactive recruiting mindset. He thinks that buzzwords like “candidate experience” actually mean something and that HR is a fun topic to talk about.